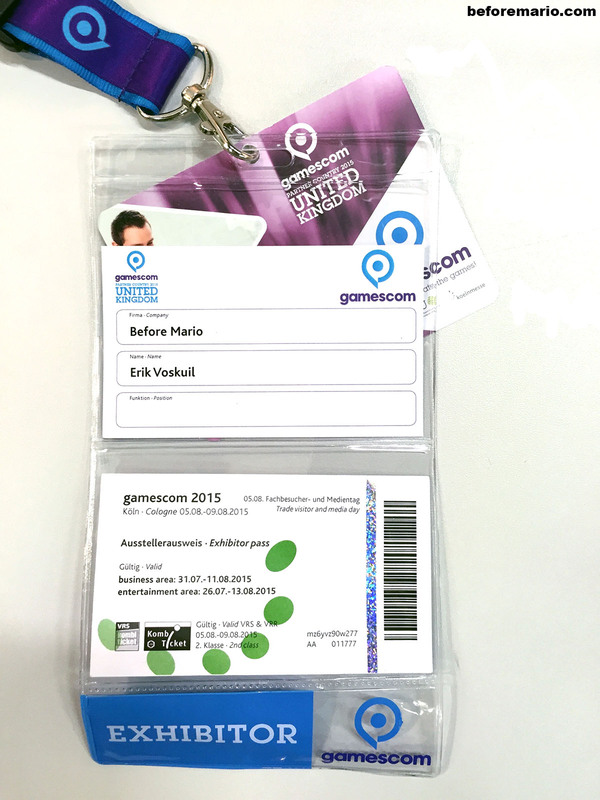 In the first part of my Gamescom 2015 report I covered the preparations leading up to the event. In today's post I will take you on a tour of the beforemario exhibition that was part of this huge five-day video gaming show that took place in August of this year. I was assigned a nice area with ten glass cabinets, in the middle of the retro game section just behind the stage. The area was open on both sides, allowing visitors to flow through. Even though this was considerable space, it would be impossible to display my entire collection here, so I had to make a selection. I have been collecting vintage Nintendo items for about two decades, and although my collection isn't complete yet, I pretty much know what is out there to look for. Still every now and then I discover something new. Well, the item shown here cannot really be called 'new' as it is more than forty years old. But it was unknown in collector circles until now. 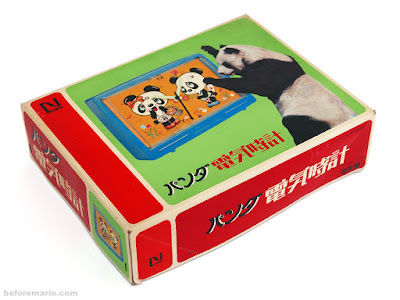 It is called Panda electric clock (パンダ電気時計). It was released by Nintendo in 1972, one year after they had introduced a first set of five clocks. Up until now it was believed that these five clocks released in 1971 were all Nintendo ever made. That is, until this sixth clock popped up recently in an online auction. Time to update the history books! A few weeks ago I added an item to my Nintendo collection that I had been searching for for quite some time. 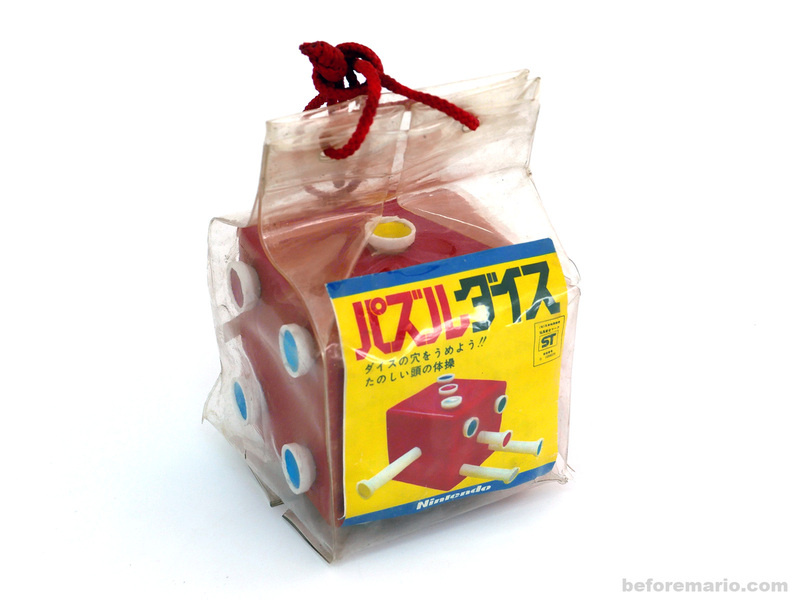 The box it came in was battered from residing in some Japanese warehouse for over forty years. But I was happy to find it in the original packaging, no matter in what condition. The slogan on the box states『使ってみると便利さがわかる』, which roughly means "very convenient to use". 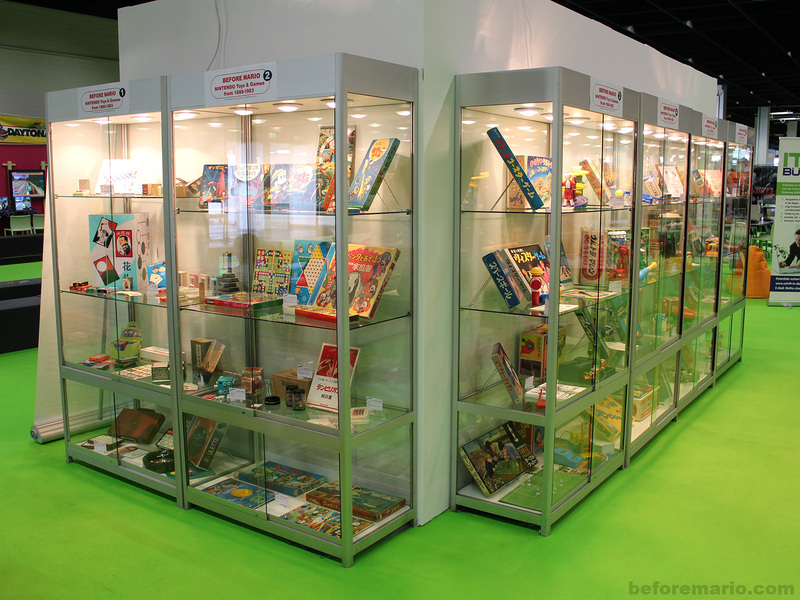 In the early 1970s, Nintendo was producing many things besides toys. Most of these were aimed at households and offices: clocks, baby swings, photo copiers and candy floss machines, to name a few. 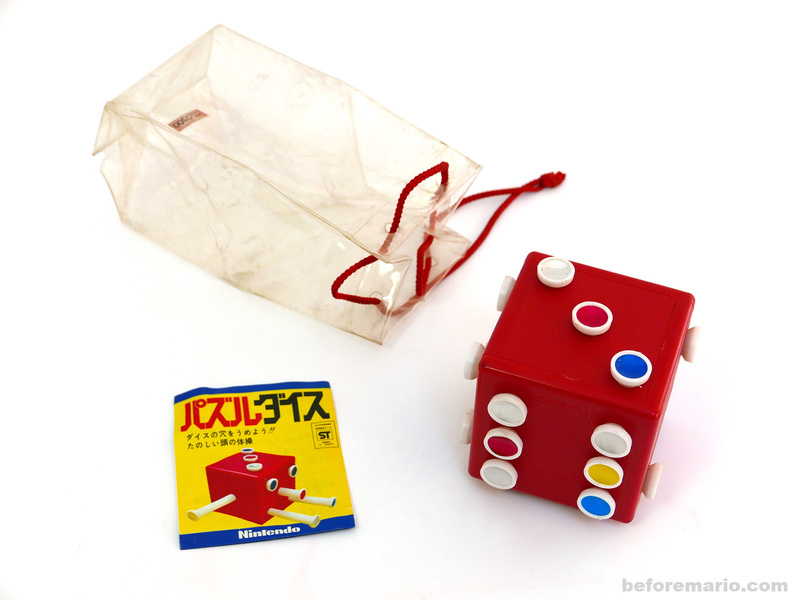 Nintendo Unirack (ユニラック) stems from 1972 and was one of these - short lived - attempts by Nintendo to break out in markets besides toys and games. Unirack is a storage system that consisted of multiple elements that could be assembled freely to create an open closet of the desired size and shape. The box I found contains one these elements. About three weeks ago I returned home from a great experience, tired but very satisfied. 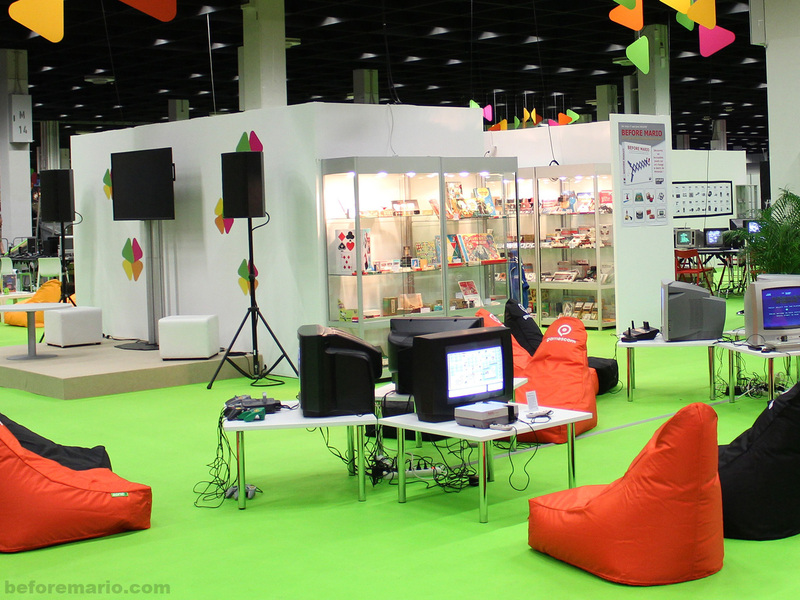 After exhibiting part of my collection at last year's Retro Game Event in Hilversum, The Netherlands, for an audience of about 3000 visitors, this year I had the opportunity to exhibit at the biggest video game stage in the world: Gamescom. 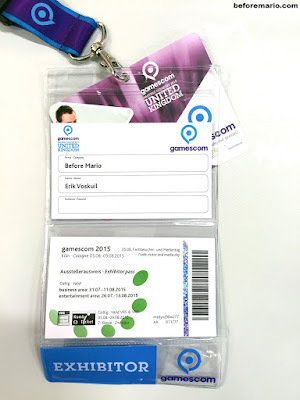 For those of you who don't know, Gamescom is a video game trade show that is held annually in Cologne, Germany. 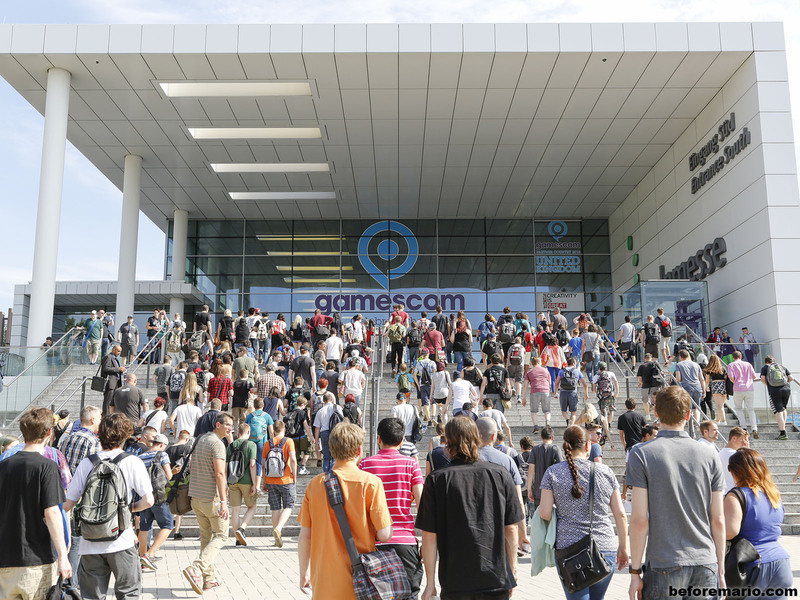 It is the premiere video game show in Europe and the world's largest gaming event, measured by exhibition space and number of visitors: with 345,000 visitors, more than 6,000 journalists and 700 exhibitors! 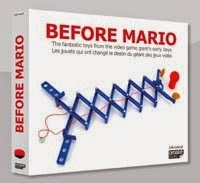 And this year, beforemario was one of the exhibitors! 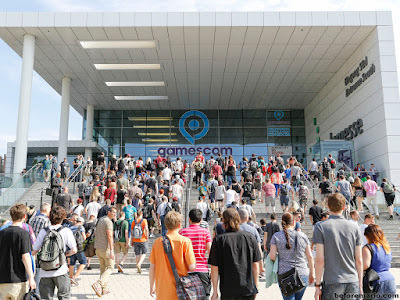 The number of visitors to Gamesom is truly staggering; a sea of people that overflows the Koelnmesse for five long days. This year the event ran from the morning of Wednesday August 5 to the evening of Sunday August 9. 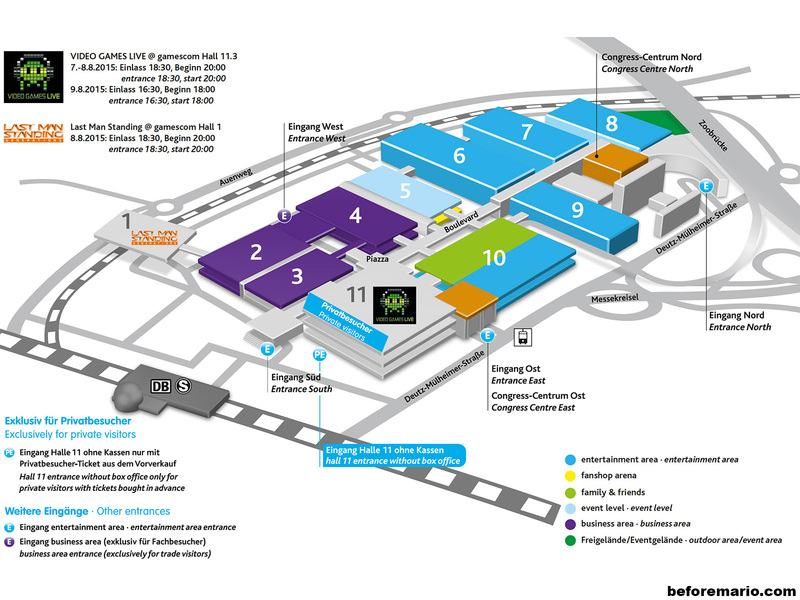 The Koelnmesse is a huge conference center, with eleven large halls, some of which even have two levels. 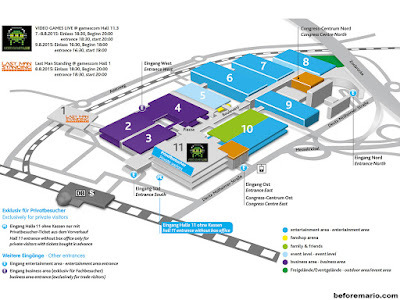 Gamescom occupies all halls. All developers and publishers of PC, console, handheld and mobile games from around the world show their latest wares, with many as yet unreleased games on display and playable for the first time. People queue for hours to play a single new game for only a handful of minutes. The booths are lavish affairs with zillions of screens, flashing lights and thumping music. Not the kind of place for people with sensitive senses. 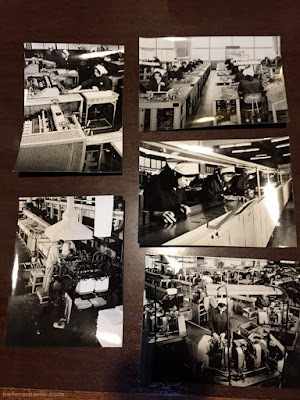 In the previous post about my recent get together with Isao Yamazaki in Tokyo, I mentioned that Isao showed me some vintage photos taken at Nintendo's playing card factory. 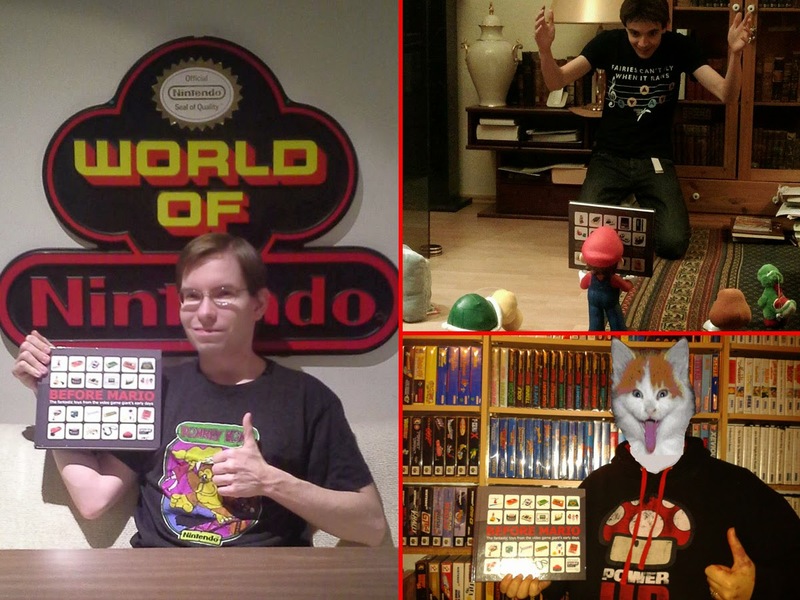 In this post we will take a closer look at these special glimpses into Nintendo's past. Although I am not sure about the exact date these pictures were taken, I believe they are from the late 1960s, as they also appear in a company overview from 1970. The first three pictures below show the various steps of the production of Hanafuda cards. Hanafuda are the traditional Japanese playing cards that Nintendo started producing as their first product in 1889. Since those early days, when the cards were made completely by hand in a small workshop, the production process has come a long way. 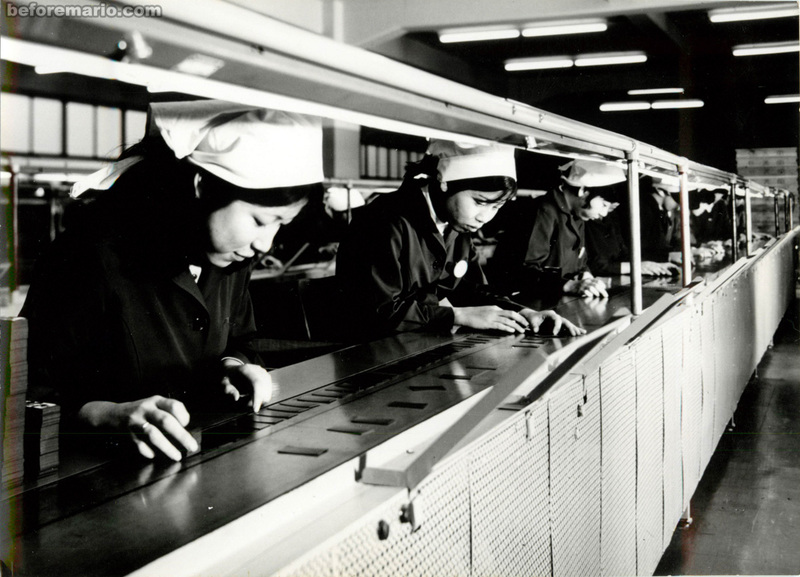 At the time these pictures were taken, the cards were mass produced in a semi-automated factory, with machines supporting the multiple manual steps carried out by a large army of women and a handful of men operating the larger machines. One of the highlights of my recent trip to japan was spending an afternoon in the company of Isao Yamazaki. 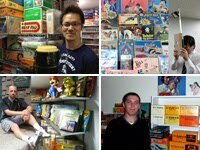 Isao is one of the biggest and most knowledgeable Nintendo collectors in the world. In Japan he is considered a top expert on the history of Nintendo. And Japan being Nintendo's home turf, that is saying something. Together with my daughter Loes, who accompanied me on this Japanese trip, I met up with Isao at Nakano station in Tokyo. 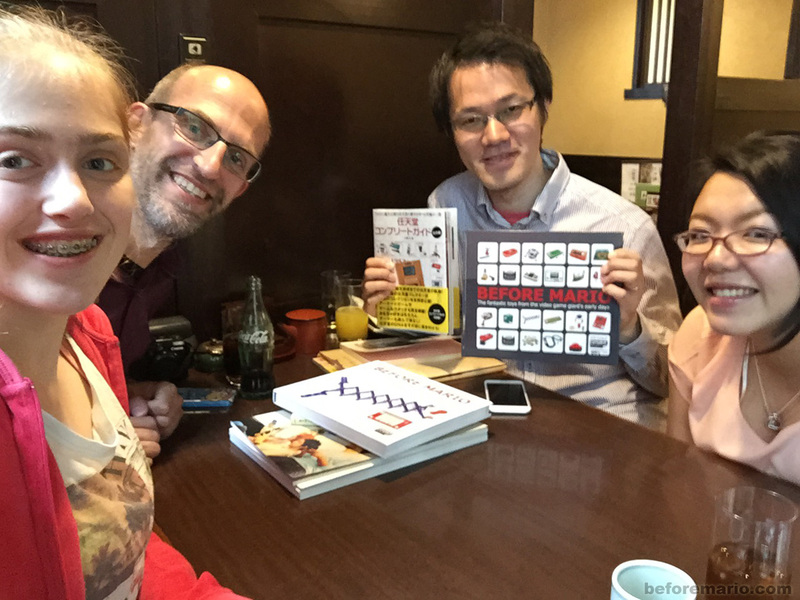 We were joined by the friendly miss Tanaka, who acted as interpreter. Although Isao and I have been in contact for many years already, this was only the second time we met in person. 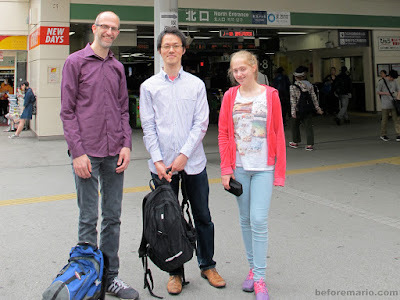 The first time was two years ago, in May 2013, when I had the pleasure of meeting up at the same time with Isao and Florent Gorges, another Nintendo chronicler. 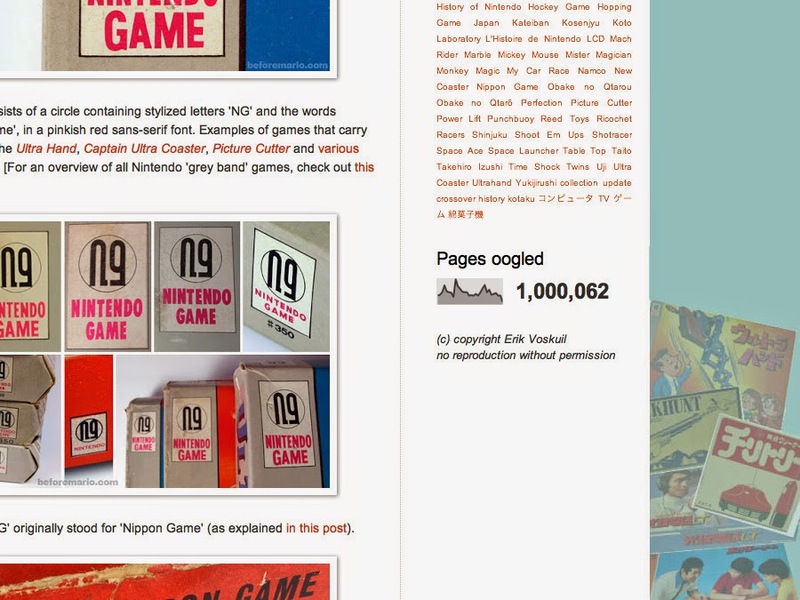 Since then, Isao and I both published books on Nintendo's history. So you can imagine there was a lot of catching up to do! By the way, Isao's book can be ordered from Amazon Japan. Information on my book can be found here. We went for lunch in a soba restaurant near Nakona station. Before we ordered lunch, we looked at some interesting documents that Isao had brought along, including Nintendo's recently published 2015 company guide, which is richly illustrated with images from Nintendo's 125 year history, many of which we had not seen prior. When visiting Japan a few weeks ago, I took a walk past Nintendo's place of birth in Kyōto, where the company still holds an office at the site where it was established in 1889. 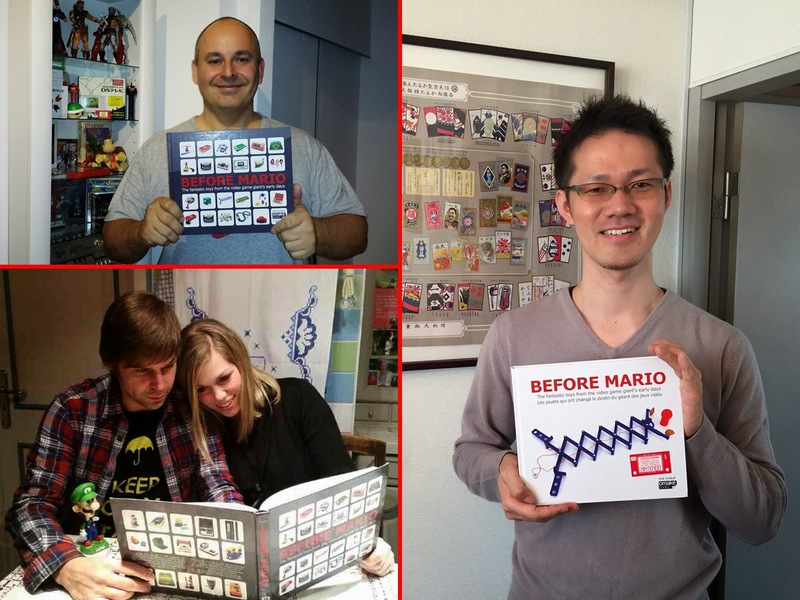 Nintendo means a lot to me, even so much that it inspired me to write a book about its history. Although my visit was limited to the exterior of the building (alas), it is nice to get a feel for the type of neighborhood that the company started in. With some imagination, you can picture in your mind the early days of the playing card business from over a hundred years ago. The Nintendo building is situated along Shōmen-dōri (正面通り) [Google map link here] on the eastern part of Kyōto, just west of the famous historical area Gion. Shōmen-dōri means 'front street', named so because it was the street in front of the Hōkō-ji (方広寺), one of the important temples established in Kyōto in the 16th century. The Hōkō-ji housed Kyōto's great Buddha statue, before this was destroyed, a few times actually, in an earthquake and some fires. Shōmen-dōri runs west-to-east through the city for about four kilometers, starting near the Tambaguchi Station (丹波口駅) and ending at the Hōkō-ji. Nintendo was established by Fujisarō Yamauchi as a Hanafuda (flower cards) selling shop and workplace at Shōmen-dōri in the Ohashi area of Kyōto, on September 23 in 1889. 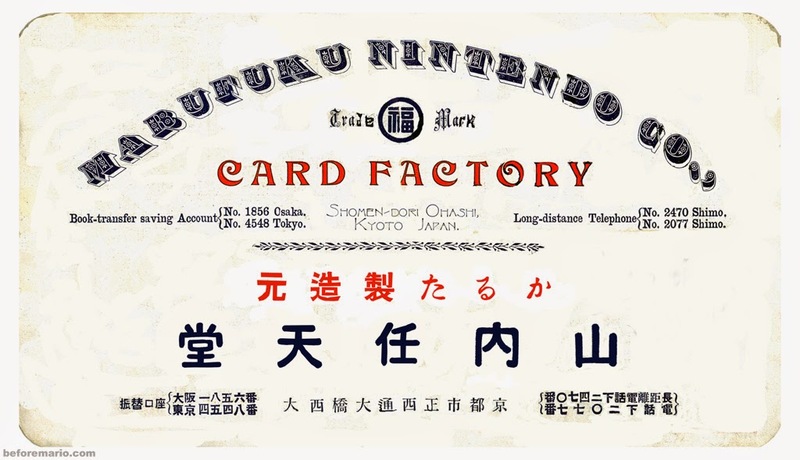 This promotional card from around 1915 lists the Shōmen-dōri address for 'Yamauchi Nintendo' (山内任天堂), the name the company used at the time (written right-to-left in Japanese). This would remain the headquarter address well into the 1950s. In previous posts we have looked at various editions of Nintendo's company guide (see bottom of this post for a list). This guide is completely redesigned yearly and used by Nintendo in Japan to introduce the company to new employees. It is distributed to job applicants who take part in the yearly recruitment process at the start of the fiscal year (in April). These guides are very interesting for Nintendo enthusiasts, as they provide a peek behind the white stone facades of the usually very closed corporation. The content focusses primarily on present achievements (recent game hardware and software) and the company's strategy for the future. However, the guides also provide information on the company's history. Nintendo was founded over 125 years ago, and its long and rich heritage must surely be an important reason why young people choose to apply for a job at Nintendo. The interest for the company's history seems to be growing lately, outside of company as well as within Nintendo. In recent years, these guides have also paid increasing attention to the company's past. A few years ago, the history was dealt with in just one or two pages with a list of products and events. But the last two editions give it a much more prominent place. Last year's guide was designed in the style of hanafuda cards Nintendo's first product that started the company back in 1889. And this year's guide even tops the previous one with even more extensive content that provides a fantastic visual celebration of Nintendo's present as as well as its past. The guide comes in a very colorful cardboard sleeve. This sleeve is covered on both sides in many of the different versions of the Nintendo logo that the company has used over the years. The front and back of the guide itself are also full of logos, printed in beautiful silver ink on a black background. In February 2011, I started this blog, showcasing the toys and games Nintendo created in the period from the mid 1960s to the early 1980s. I did not expect a lot of interest for such a niche subject. 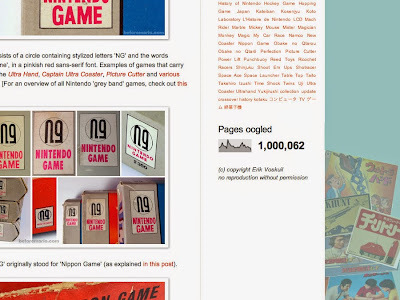 Still, today the blog reached 1.000.000 views! Achievement unlocked! During the last 12 months, I did not have a lot of time for regular posts. Writing the Before Mario book and preparing the exhibition of my collection were both quite time consuming (as well as very rewarding!) But even without frequent new posts, a regular stream of visitors find the blog daily. Which motivates me to keep expanding the blog with more information as much as I can. To all readers: thank you for the interest you have shown and the feedback you have given. In the mid 1960s, Nintendo started producing plastic toys and games. One of its earliest is the racing themed marble action game shown here. 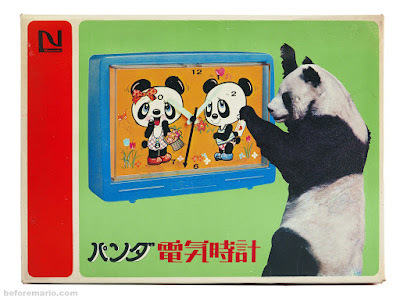 The game is called Punch Race (パンチレース). The retail price at the time was ¥500. The exact release date is unknown. There is no year listed on the box or manual, but the style of the game, box art and logo indicates it is from around 1965, possibly early 1966. The front of the box depicts two cars that look a lot like the Jaguar E type, which was one of the hottest sports cars of the 1960s. The box art also contains a large white curly shape that enhances the feeling of speed, with the name of the game flying out on the side of the box. I recently picked up an old piece of equipment from a Nintendo production facility. Usually, I only buy Nintendo items that were commercially available. I know there is a whole world out there with related things, like development versions of consoles and prototype games. But I have decided not to collect these, mainly because you need to draw the line somewhere. A collection needs certain rules and boundaries, I believe. Anyway, for every rule there are exceptions, and this is one of them. For starters, the device was a bargain, at only ¥1000. The main reason it caught my attention was the label on the top, which says 「任天堂 (株) 宇治工場」. This means "Nintendo company Uji". Uji is a suburb of Kyoto. 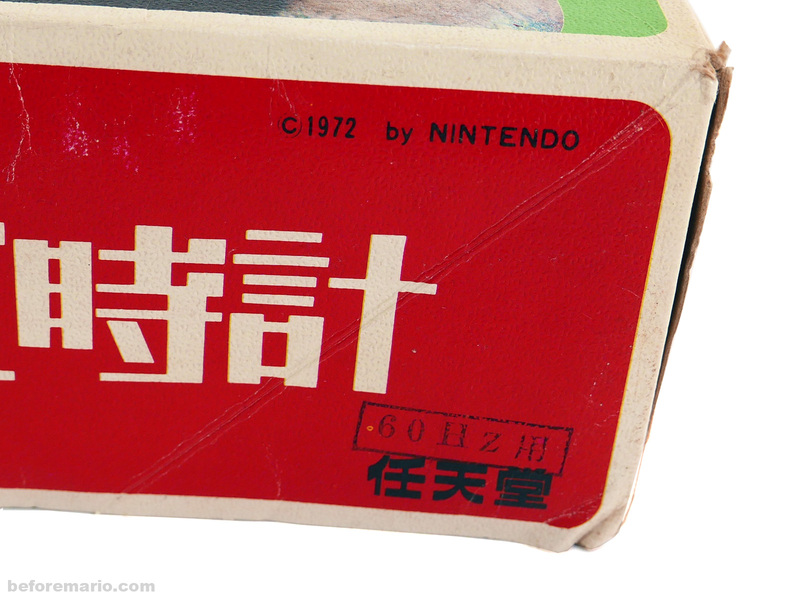 Nintendo built a factory in Uji in the 1960s, when it briefly entered the instant food business. Check out this earlier post about one of its instant ramen promotions. When the food business turned out to be unsuccessful, the production facility was quickly turned into a toy factory for Nintendo's booming games devision. It has been a bit quiet here. I just noticed that the last post dates from mid November. So, let me start by wishing you all the best for 2015! As regular readers will know, I have been busy with my book for most of last year. Work started on it started in January of 2014 and the result saw the light of day in October. In the months that followed, I took a little break from writing, but I am determined to pick up more regular blog updates again soon. I have been overwhelmed by the feedback from readers of the book, many of whom sent me a picture of their copy, together with praise for the book's content and design. I have shared many of these pictures on the Before Mario Facebook page before, but thought it would be nice to present a selection of my favorites together here.